In keeping with my love of rocks and water when found together, I added my second love, the figure to create this piece. 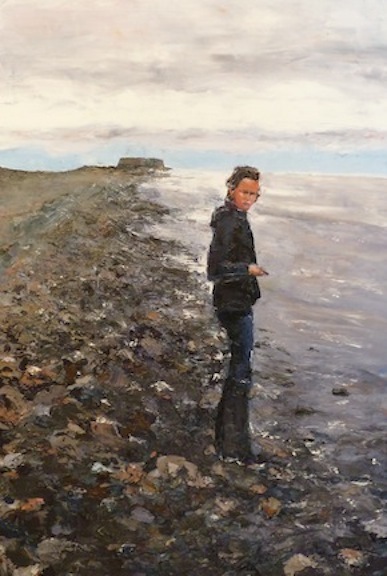 The figure is standing on the rocks seems to be grounded and present in body, but her eyes give away that she may be pondering distant thoughts. This is the first of two pieces that explore this idea with this figure.